Any ruling power or political system has a set of cultural or ideological values underpinning it. For instance, Dong Zhongshu (second century B.C.E.) helped create a governing system that required rulers and officials to be well-versed in the virtues and morals of Confucian thought. Civil service examinations were created to test potential officials’ moral character, and these became the deciding factor for whether or not one would obtain a position. “All men are created equal,” and “natural rights” are ideological values that have sustained democratic systems. Individual rights and freedoms form the foundation for many of these societies. In the case of the Chinese Communist Party, its Marxist-atheist ideology holds that people must “fight with heaven, fight with earth, fight with each other,” and focuses on “class struggle.” As its greatest rival it sees traditional Chinese culture, which is deeply rooted in Buddhist and Taoist worldviews. For thousands of years, traditional art forms such as music and dance have been integrated into Chinese life, expressing benevolence, beauty, and many other virtues. But today’s arts emerging from China are infused with Party Culture, and it is evident both overtly and covertly. The Party discovered that traditional themes can be replaced with its own violent ideology to turn the arts into a strong propaganda tool. The ultimate goal is to substitute remnants of traditional Chinese culture in people’s minds with Party Culture, thereby safeguarding the regime’s power. 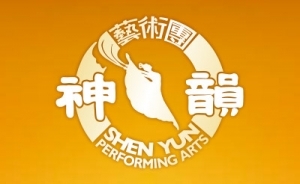 Shen Yun’s goal is to revive the authentic and original manifestation of traditional Chinese culture and art. 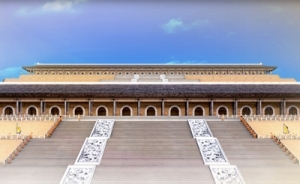 On stage, Shen Yun performances bring back these traditional values that have sustained and created cultural expression for so many generations. The mere representation of this lost heritage and its virtues immediately, by way of contrast, unmasks the Party and its ideology of struggle. 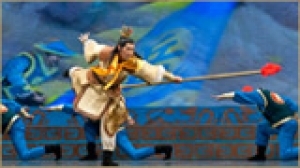 This is why the Communist Party fears Shen Yun, and why this kind of performance cannot be seen in China today.